The Talent Show on Wednesday night is pretty cute. Most participants were girls. Why? 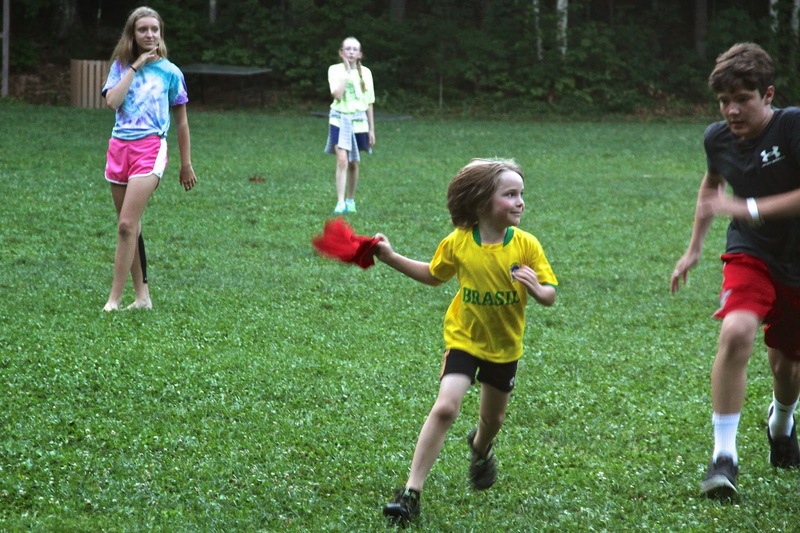 Monday night the kids played capture the flag. They left this little girl uncovered. Don't underestimate fast little girls. But, of course, some kids would rather read by themselves. With a furry friend. 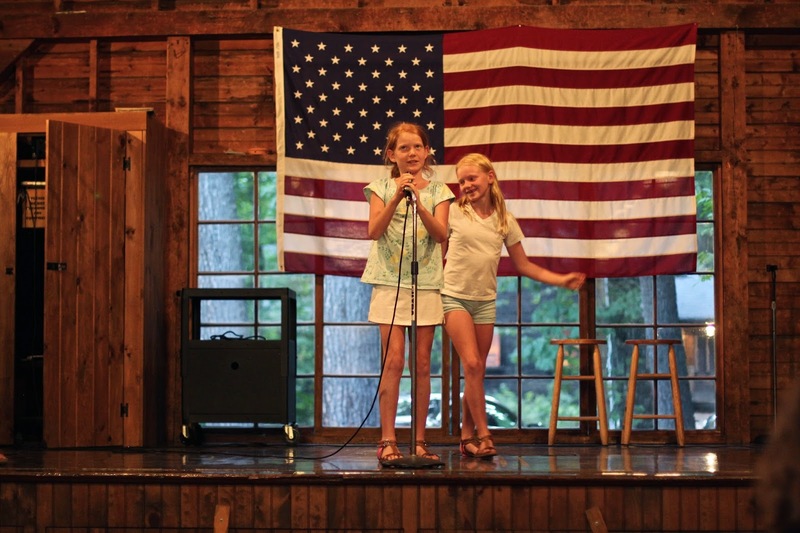 Talent shows at that age is a girly thing me thinks. Looks like she has nearly finished that book. Great images. I like that last one a lot! Sitting at the bottom of a slide might prove unwise :) lovely images Jack. what a wonderful set of shots! Great, fun captures for the day, Jack! Love the last one! Hope you have a wonderful weekend!! Enjoy!! Love the last shot also, Jack! Are boys afraid to look foolish? .... or uncool? 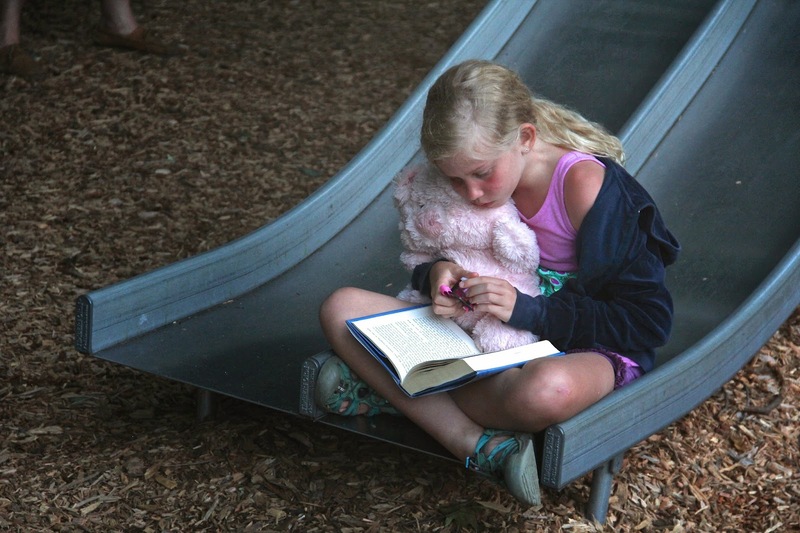 Getting lost in a book is a wonderful place to be. Capture the flag... I played it as a kid, and loved it. Because they are more sociable and mature, less awkward? I would probably have been the kid off to the side reading, but now with anything soft. Sweet shots of the kiddies. Love the last one. and always a huge american flag. Farewell to the Cape. See You Next Year.